Coming up with ideas for dinner can be stressful for anybody. Everyone has to choose between eating out or cooking for themselves. A quick and easy combination of the two is a Marketside lemon pepper rotisserie chicken from Walmart. It might seem like there isn’t a difference from the chicken and eating out, but there is. Depending on how it is served it can be seen as either take-out, home-made, or both. The takeout version couldn’t get any simpler. All you have to do is go out and buy it, bring it home, and eat whatever meat you can find on it. When it comes to the homemade chicken recipes, all you need is a little imagination. It can be made into Mexican chicken casserole with Doritos, chicken tacos, chicken cacciatore, or chicken salad. The possibilities are endless. Of course, rotisserie chicken has a lot of benefits, but there are still many disagreeable contents to it. For those with high blood sugar or similar conditions should understand that this type of chicken truly isn’t an option. It has a ton sodium which can increase your risk of heart disease and high blood pressure. Also if you are trying to lose weight, rotisserie chicken might not be what you’re looking for. Due to its high sodium content, it may lead to bloating, puffiness and increased cravings. However if you have your mind set on a low carb diet, it will be a great option to explore. Freshman Brooklyn Ruth loves to read Manga, watch anime, and likes Kpop idols. She enjoys hiking, collecting lots of random small objects (mostly round), and messing with her family. 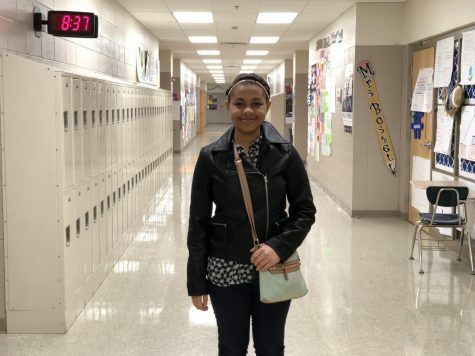 She wants to write for the newspaper because it is different from other classes and she considers it as a possible job where she would do things similar to what she's doing now.